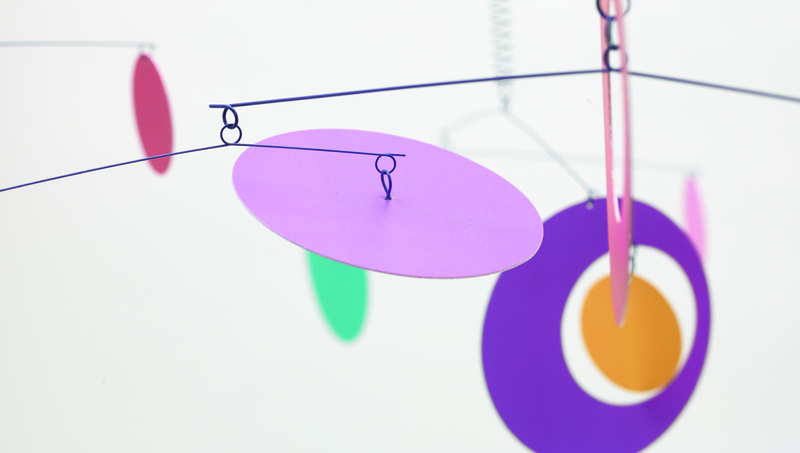 Since more than 10 years, Christel is creating mobiles for children. This collection is editing by the french company DJECO. From an idea of theme for children, she choose an illustrator and conceive the mobile to stage the illustrations and tell a story. 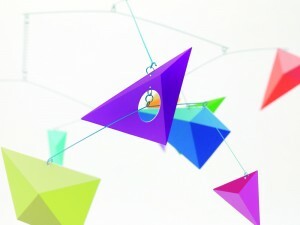 These mobiles are in paper or plastic PP, they are delivered in kit in a very packaging illustrated. Contact the team Djeco to see the complete collection (please see here-under). The marketing of these mobiles DJECO is international. We so find them in stores of toys, decoration and the shops of museum all around the world. send an email to info@djeco.com or contact directly Jean Marc Mercier au +33 (0) 1 43 54 01 77.
send an email to export@djeco.com or contact directly David Sainte-Cluque au +33 (0) 1 43 54 82 24. Creation of a mobile XXL for the exhibition Djeco “C’est pas du jeu”, musée de l’illustration Jeunesse (Moulins – France), July 2018 – January 2019. Djeco – Musée de l’illustration Jeunesse – 03000 Moulins – France. Exhibition “C’est pas du jeu !”. 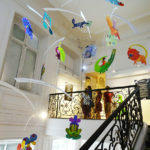 Creation of one mobile XXL named “La Parade des Animaux”, Charlotte Labaronne’ s illustrations.